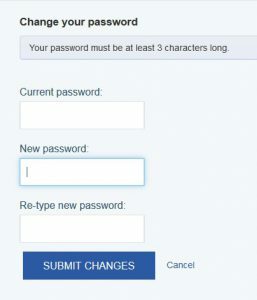 Change your password and submit your changes. Note: Library staff cannot see your password. If necessary, we can reset it. This password is the same password you will use to log in to the Sunflower eLibrary. The site says PIN, but it really just means use whatever your password is at SEKnFind.